Sole and plaice are closely related and share several common features: the two are flatfish with both eyes on the same side of the body, they swim on their side (eyes on top) and live in shallow sandy bottoms, where they conceal themselves thanks to their camouflaging ability. Their flesh is white, lean and tastes very delicate, making it the most popular fish for getting children to like seafood. From a nutritional standpoint, they contain minerals, vitamins and some amounts of omega-3. These fish have been swimming in our seas since the dawn of time: people have found fossils of plaice and/or sole that date back about 65 million years! 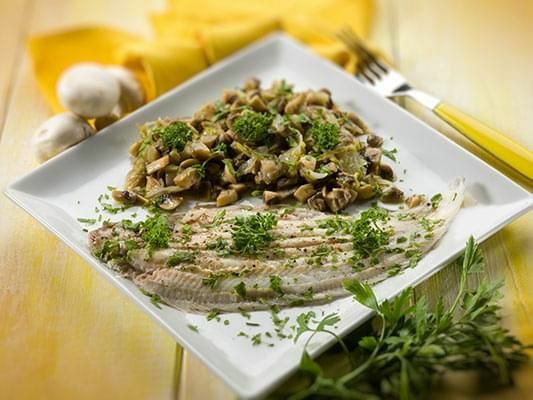 In Quebec, although the term “sole” is almost exclusively used at the fishmonger’s and at restaurants, in reality, it is plaice and not sole, which frequents Canadian waters and is fished here. Originally published in the Journal de Montréal on June 9, 2012.